On Monday, July 14th, I departed for Halifax, Nova Scotia – the traditional territory of the Mi’kmaq peoples – to attend the 35th Annual General Assembly of the Assembly of First Nations which ran from Tuesday, July 15th to Thursday, July 17th. I want acknowledge our Chief and Council for allowing me the honour and privilege of representing our Nation at the AFN during this critical time for the organization. I would like to provide you with a report of the activities I undertook throughout the duration of the Assembly and some of the critical resolutions that will impact our peoples moving forward. After a lengthy discussion (and I have to admit, a somewhat confusing process) on when the National Chief should be elected, it was voted that the election for the National Chief of the Assembly of First Nations would take place in Winnipeg, MB throughout December 9-11, 2014. Some options included: Winnipeg in October 2014 (original date for the Fall Assembly); December 2014; and July 2014 (original date for National Election). I voted to hold the election in December considering some of the pressing matters of importance to First Nations people, and considering the AFN’s financial position. The Confederacy of Nations is one of 7 principal organs of the AFN Charter. 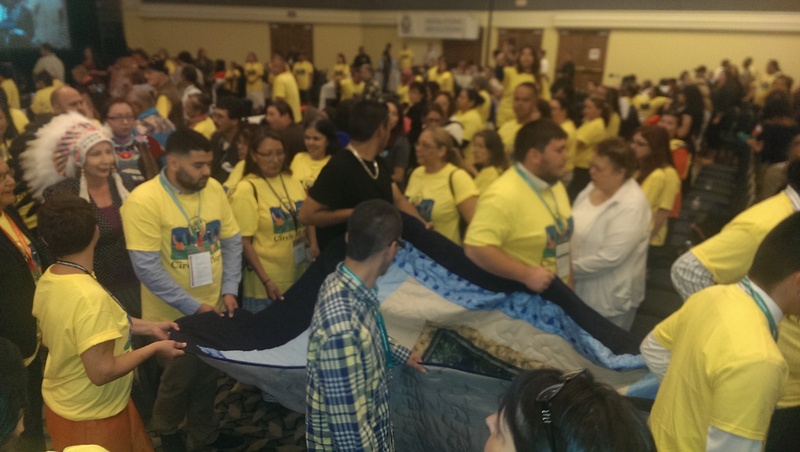 It is an organization to ensure representation by population within the AFN. However, for the last 10 years, the organization has been defunct and did not meet instead opting for Chiefs in Assembly as the main voice of First Nations people at the AFN. It was only within the last few months that a few Chiefs decided to utilize this forum to advance their objectives. The Confederacy of Nations, and the entirety of the AFN is undergoing a review to ensure best practices and administrative efficiency. A review in 2005 recommended the Confederacy be removed from the AFN Charter. The motion put forth at the 35th AFN AGA was to ensure that an unnecessary bureaucratic organization could not further disrupt the operations of the AFN. I supported the resolution to halt Confederacy activities until such time as the review is completed. The resolution passed. This resolution called for a framework for establishing a national dialogue with respect to the ongoing issue of Missing & Murdered Indigenous Women and Girls. It also reasserted the call for a National Inquiry. The resolution passed and I was extremely proud to continue supporting real strategies for Indigenous women and their families. I voted in favour. The resolution passed unanimously. This resolution called for the AFN to support a national gathering of Treaty Nations August 11-14 at the Peepeekisis First Nation. I supported the resolution, it passed unanimously. The Beardy’s & Okemasis First Nation currently has several outstanding specific claims against the Crown. This resolution directed the AFN to make specific claims a key priority and take the lead role in working with like-minded organizations to advance an aggressive public information campaign and much, much more. The resolution also directed the AFN to publicly demand the Government of Canada fulfill the promises made in “Justice at Last”. These specific resolutions dealt with Education. They all passed. President of the Native Women’s Association of Canada, Michele Audette, along with Cheryl Maloney, president of the Nova Scotia Native Women’s Association, organized the Circle of Hope—a round dance the morning of Wednesday, July 16th on the main plenary floor to honour Missing & Murdered Indigenous Women and demonstrate unity in the call for a National Inquiry. It was a moving experience to witness our people dancing, honouring, and in total unity. Everyone wore yellow t-shirts; the room was a sea of yellow and it was by far the highlight of the weekend. I was truly honoured to have participated and left completely awestruck at the power of women in our communities. Many of you recall the vicious attack on Marlene Bird in Prince Albert a couple months ago. Marlene is in Edmonton undergoing intensive rehabilitation therapy after having both her legs amputated. The blanket ceremony raised more than $4,500.00 for Marlene’s care. It was again, an emotional moment as family members and the Chief of Montreal Lake First Nation were on hand to witness such a tremendous outpouring of support. I had a fantastic opportunity to meet one-on-one with the entire AFN National Youth Council on Thursday, July 17th to discuss their priority items and a way forward for our people. There is a strong desire amongst our youth to see movement on key issues. One that was specifically raised that resonated with me was that of flooding on reserve. The Manitoba Youth representative detailed to me how a youth had just committed suicide as a result of the flood. Their family was displaced, and had nowhere to live. It was a clarion call for me thinking about those families here at home who are currently without a home and how we need to always work together and support each other in times of need. I was reminded of the pride I feel when I see our community come together in those times of hardship. I ended the meeting with a simple message to them: youth are not the leaders of tomorrow, they are the leaders of today! We need their energy and passion now to develop creative solutions to the problems our people face locally, regionally, and nationally. After the meeting, I left feeling inspired by their dedication and the ideas they’ve put forth. I was truly honoured to have participated in an event that demonstrates the unity of our people. 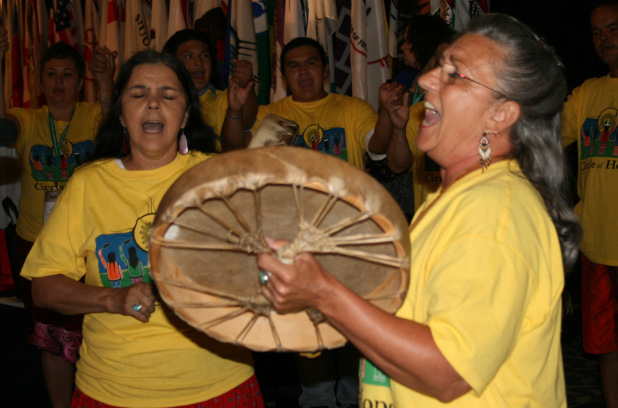 There are many critics of the AFN who say that the organization has outlived its usefulness. To that I say no. Yes, the AFN needs reform, yes it will take time, energy, and resources, but the thing that stood out most for me throughout the Assembly was the demonstration of unity among our people, and the prevalence of reason in our peoples’ decision making. Having a forum such as this whereby our people can tell our national leaders their concerns, air their frustrations, and in general, hear ideas, and share solutions, is a positive thing for our people. So, despite what the critics say of the dysfunction at the AFN, it truly was inspiring to see our people united on so many key areas; and I look forward to adding my energy to ensuring that the AFN continues to be a credible voice advocating for our people. ← Chief & Council congratulates Stobart Graduates!